The show focuses on citizenship, social skills and problem-solving, teaching kids that working together helps get any job done. Each episode is 11 minutes long and follows the same format - Ryder is contacted with a problem, the PAW Patrol meets at the lookout to figure out a solution and, of course, working together the PAW Patrol saves the day. Hannah likes it best when the PAW Patrol has figured out the plan to help and head out with Ryder exclaiming, "PAW Patrol is on a roll!" She really likes how the pups slide to the outside and their awaiting vehicles. Hannah's favourite pup is Skye and she LOVES to sing along to the PAW Patrol theme song. Would you like to watch PAW Patrol save the day AND one"swag" item courtesy of Spin Master (one of the following - Deluxe Talking Plush, HQ Playset or Deluxe Trans Vehicles)? Enter using the Rafflecopter below by November 25th, 2014. Disclosure: I received a copy of PAW Patrol Winter Rescues for the purpose of this review. As always, opinions on this blog are my own. My favourite character is Ryder. I like Zuma, but they're all cute! 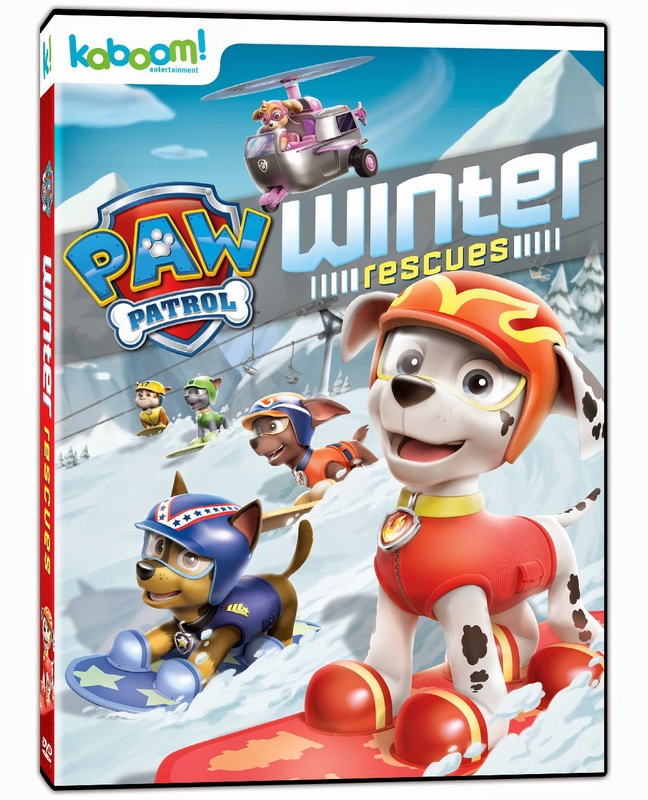 It would be great to win the PAW Patrol Winter Rescues DVD and Swag. Who is your favourite member of the PAW Patrol? My favourite is Rocky the Recycler. Chase is my son's favorite! Chase is my sons favourite . Chase is our favorite dog. My little guys love Chase. My daughter says Skye is her favourite. We like Skye the best.